The new Irish Sign Language version of the National Anthem will be performed for the first time at a sporting occasion before Sunday’s All-Ireland hurling final. 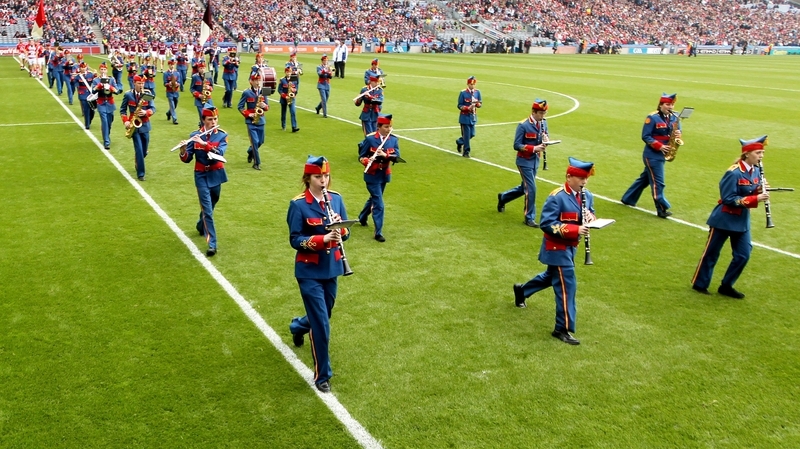 The GAA has confirmed the historic performance will take place in tandem with the Artane Band playing Amhrán na bhFiann before the game between Galway and Limerick. The new ISL version of the National Anthem was officially performed for the first time by a deaf choir and a piper from the Defences Forces band in Leinster House last month. Senator Mark Daly, who worked on spearheading the passage of the Irish Sign Language Recognition Bill through the Dáil and Seanad last year, has welcomed the GAA initiative. The Fianna Fáil Senator said that one of the benefits of the recent Seanad Public Consultation on the National Anthem was the fact it highlighted how some people felt excluded by the National Anthem. It was from that Cork schoolboy’s idea that the historic rendition of the anthem from the deaf choir and Corporal Anthony Kelly of the army band took place in Leinster House last month. Alan Milton, the GAA’s Director of Communications, said that it is fitting that the new version of the anthem will be performed before Sunday’s All-Ireland hurling final. He said: “All-Ireland final day is about inclusivity. While not everyone can get tickets for the game, we do want to make it as inclusive as possible for everyone in the stadium and all those watching at home. Darren Byrne, the Chairperson of the Council of Irish Sign Language Interpreters, will be signing the ISL version of the anthem before Sunday’s game. The GAA is still working out the logistics of the performance but is expected that Mr Byrne will be filmed signing the anthem as the Artane Band play it and his performance will be shown on the big screens inside the stadium. Senator Daly added: “This is the first performance of the National Anthem at a sporting event in sign language. It is important as the GAA is one of our key sporting institutions. Next year is the 110th anniversary of Peadar Kearney writing the national anthem. In 2013 it fell out of copyright protection so the Seanad committee looked at the issues around making sure it was not used inappropriately such as in commercial advertising. The committee has devised protocols so all citizens are aware of the proper use and treatment of the National Anthem. The Seanad committee found that the majority of Irish people want the existing wording of Amhrán na bhFiann/The Soldier’s Song to remain unchanged.